The biggest capacity display in our whole range, our A4 Illuminated Cable Display with a massive capacity of 32 A4 graphics being illuminated simultaneously. 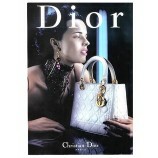 This display is a great way to attract more potential customers towards your window, day or night. The low voltage LED bulbs have a life of up to 100,000 hours and are low cost to run. The clever design of the panel means your graphics are illuminated without shadowing, whilst the poster slot makes changing graphics quick and easy. This display can be used with standard paper, however for the best results with your LED panels we recommend using our backlit posters. 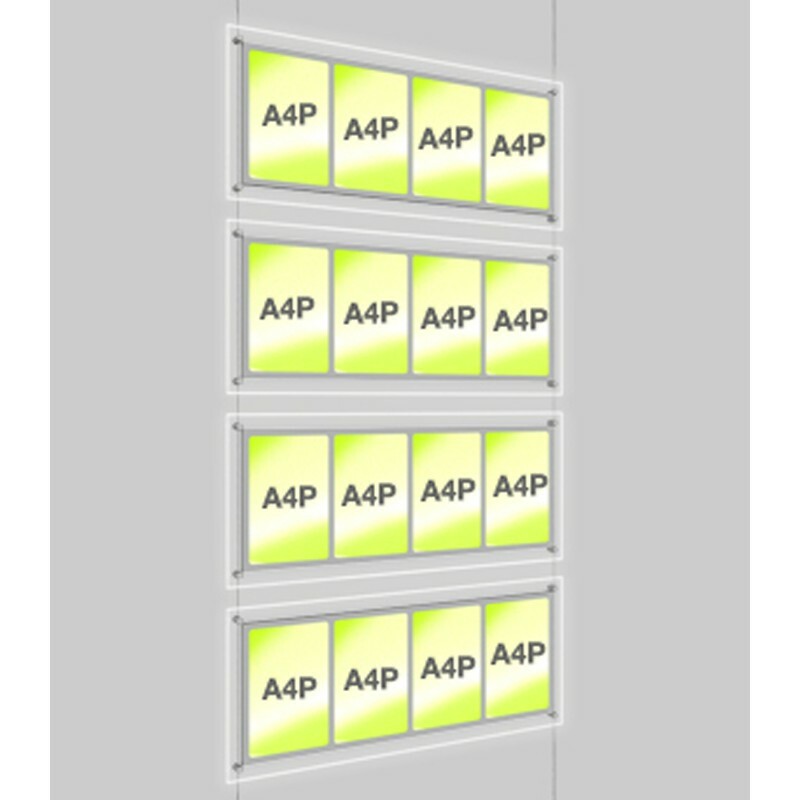 A4 Illuminated Cable Display units are quite capacious display panels. 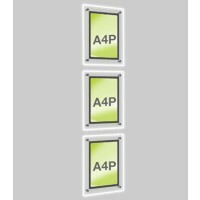 These illuminated display pockets with 32 A4 Quad Portrait Light Panels are ideal for attracting potential customers towards a window during day as well as night. These promotional panels use low voltage LED bulbs that provide a shelf life of over 100,000 hours and require low cost to run. 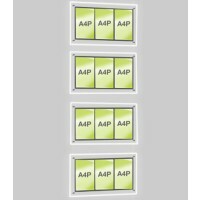 The graphics of these display panels can be changed by simply slotting them in and out whenever needed. No mechanical specialist or tools are need for installing these display panels. 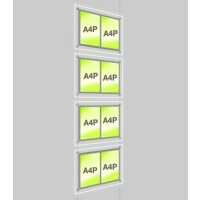 Display panel includes a kit that consists floor to ceiling cables, 16 Clamps, 1 transformer, and an installation guide —making the installation for users quick and easy.